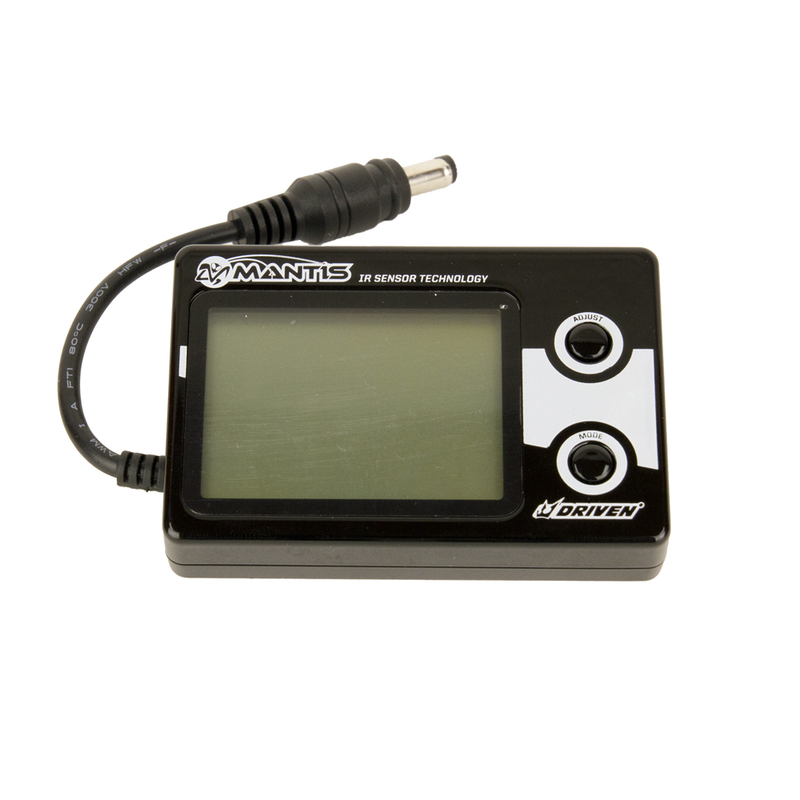 The Mantis Infrared Temperature Sensor by DRIVEN Racing. 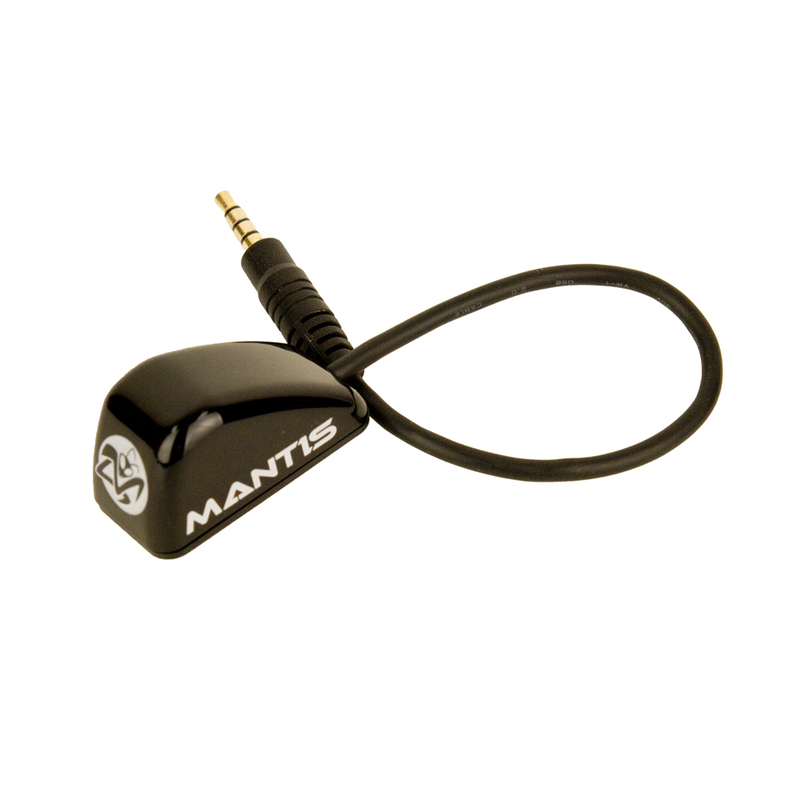 The Mantis non-contact infrared sensor utilizes a 17 bit analog to digital converter and a powerful digital signal processing unit. 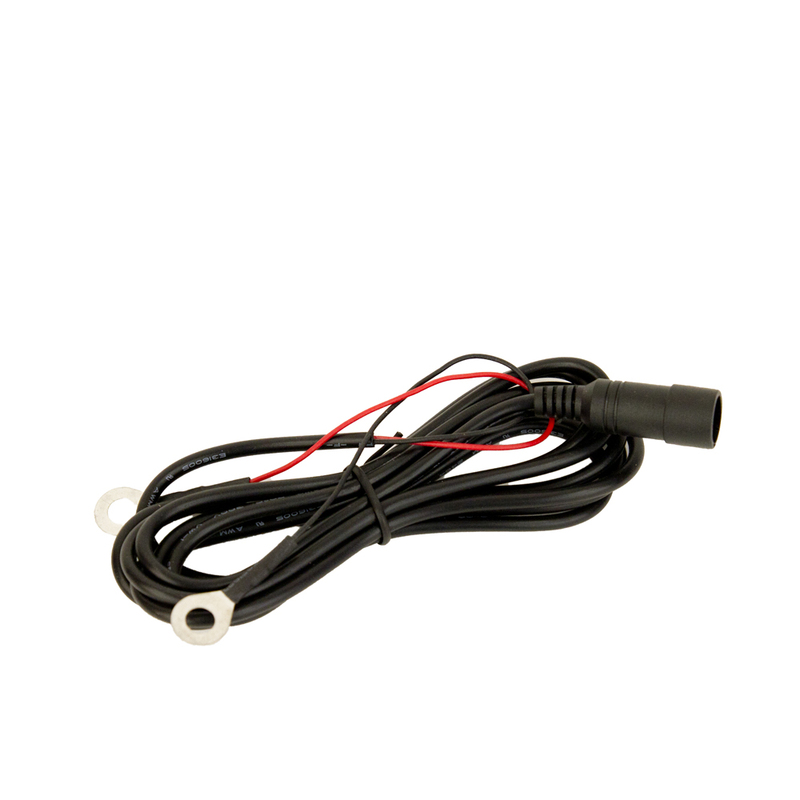 With a resolution of 0.02°C, the Mantis sensor is a highly precise measuring instrument. 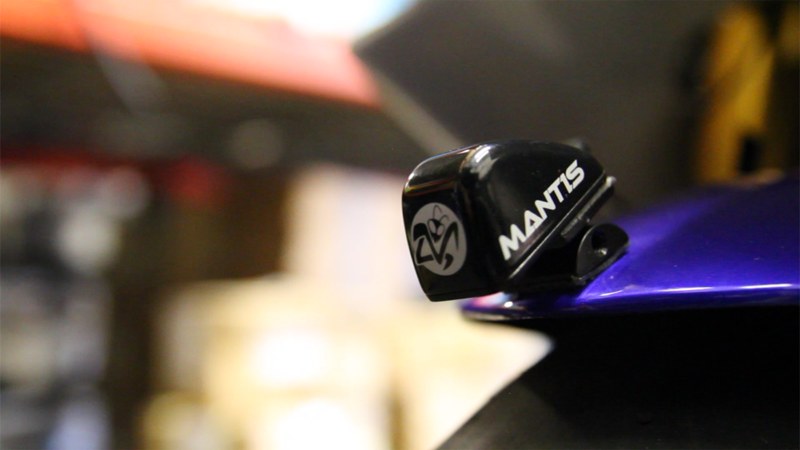 A proprietary lens serves to create a wide-angle field of view for the sensor to observe infrared radiation emitted from the tires surface. 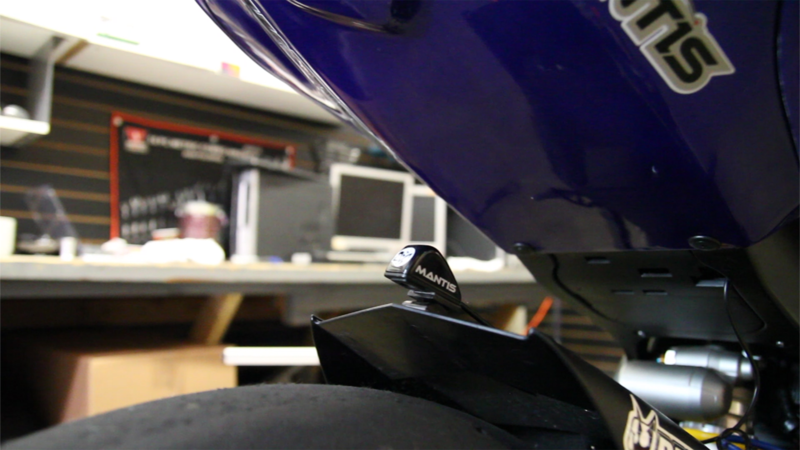 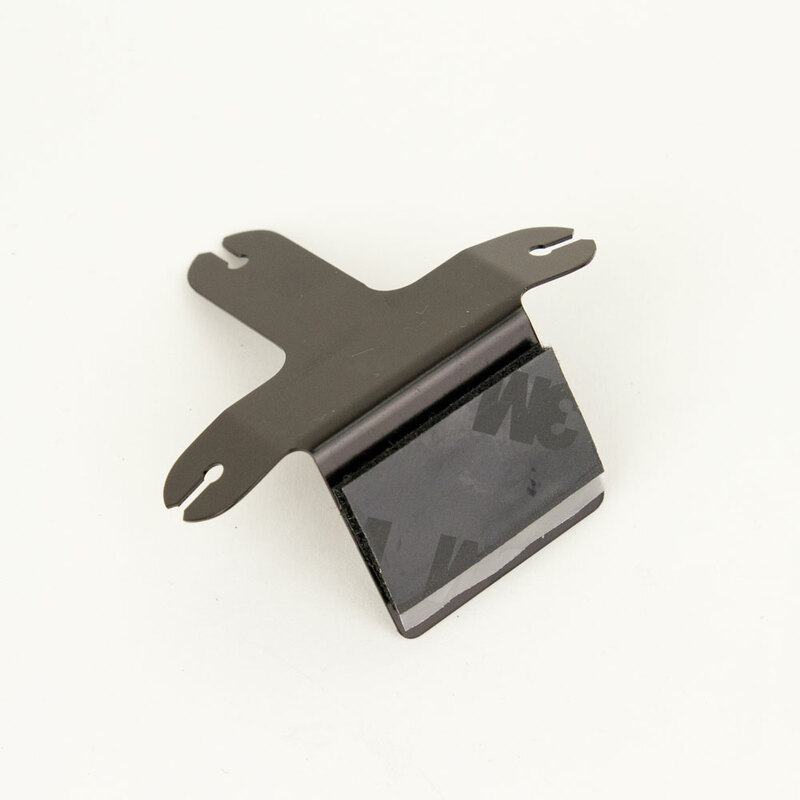 Additionally, the lens protects the sensor from being damaged by road debris. 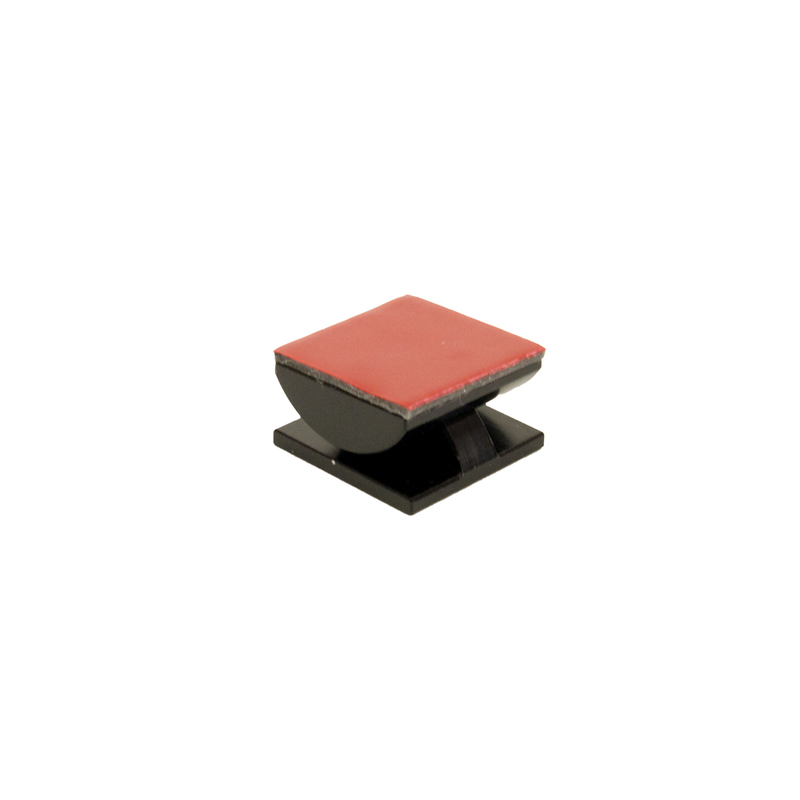 Encapsulating the senors electronic component assembly is a durable injection-molded polycarbonate housing. 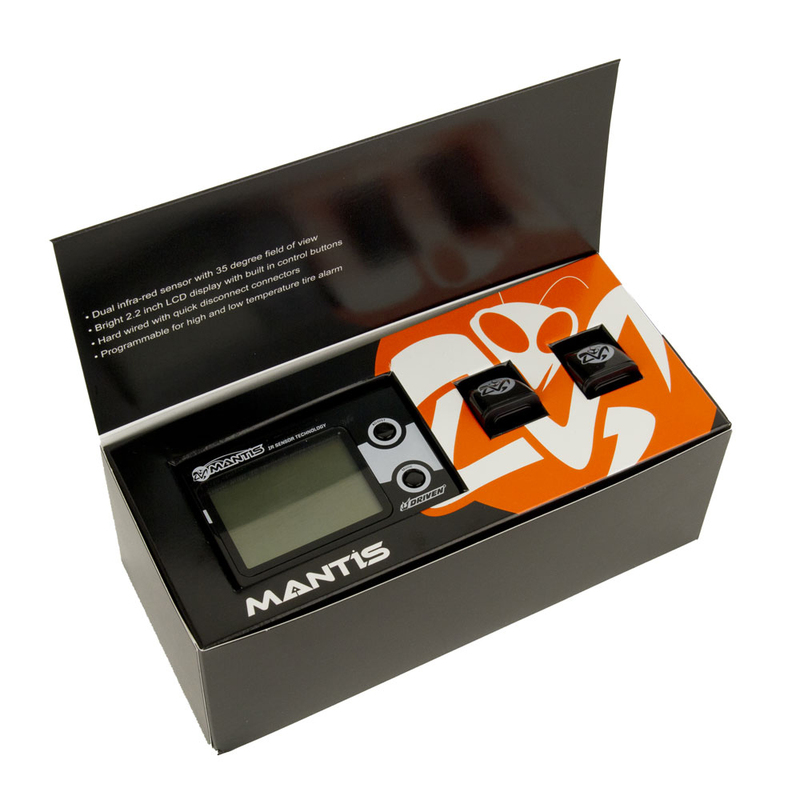 The Mantis display unit houses a glare-free liquid crystal display and a processor capable of converting raw data from the thermal sensor into valuable human-readable information, in real time. 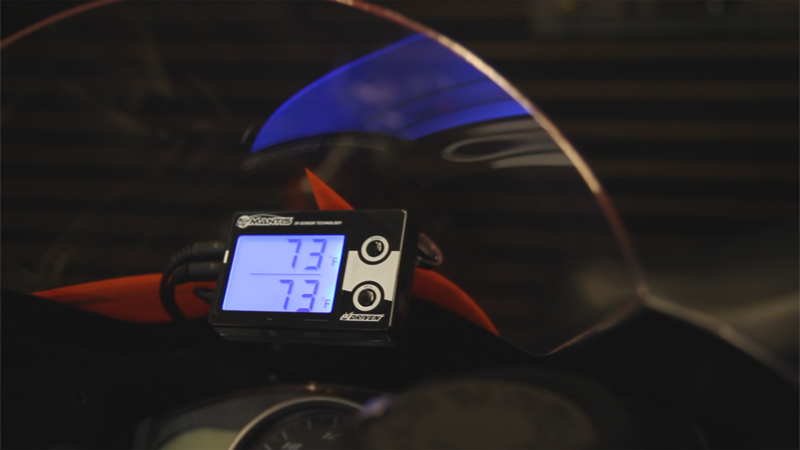 Programmable alerts can be easily set, and are useful in alerting the rider when his/her tire temperatures exceed the desired range.